Meet the Artsy Gal, Talitha Maranila! After a plus-size model and a hijabi dancer, Lovo taps Talitha Maranila as their next muse. 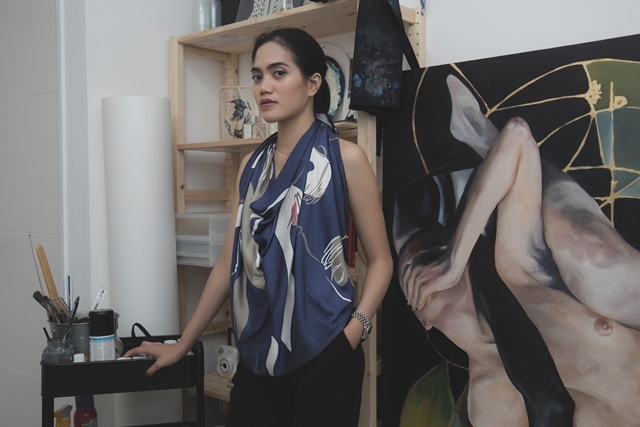 Born and raised in Jakarta, the 27-year-old woman is known as a talented painter. Enjoying painting with watercolor, oil, and acrylic, Talitha has worked with many brands and products. She also had her painting exhibitions in Jakarta, Singapore and Switzerland. Emphasizing the #AllForWomen spirit, we are surely curious about what’s on her mind.